As a kid I have great memories of watching Agatha Christie on tv and loving the way Miss Marple and Poirot solved mysteries. It recently dawned on me that I had never actually read one of her books, so I made it happen. Choosing which book was a task in itself, but I decided to start at the beginning of Miss Marple and work my way from there. It took a little time for the voices of the characters in my head to match the time and setting. But, using my memories of the tv shows and movies I’ve seen I soon had the accents, fashions and visions down pat. I enjoyed the charming characters and the authenticity of the old fashioned dialogue. It’s something that can only come from Ms Christie’s own life experience of those times. The vicar is very likable and is very social, constantly moving from one meeting to the next without a break. Mrs Marple plays less of a role than I expected, but in true Marple fashion she is instrumental in finding the vital clue that ultimately reveals the murderer. Keep an eye out for the old style email – hand delivered notes… LOL. This is such a cosy mystery written many years ago, in much simpler times. 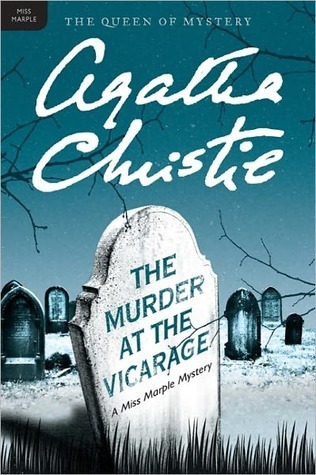 IMO, the real strength of this book is the authenticity of the characters and the signature mystery synonymous with Agatha Christie. She really is a true mystery solver.